The Create Collection action enables you to select the type of Collection and the Editor you want to use when you create a new Collection. Identified by a name and a version. Associated to a Collection Type and optionally to a category. 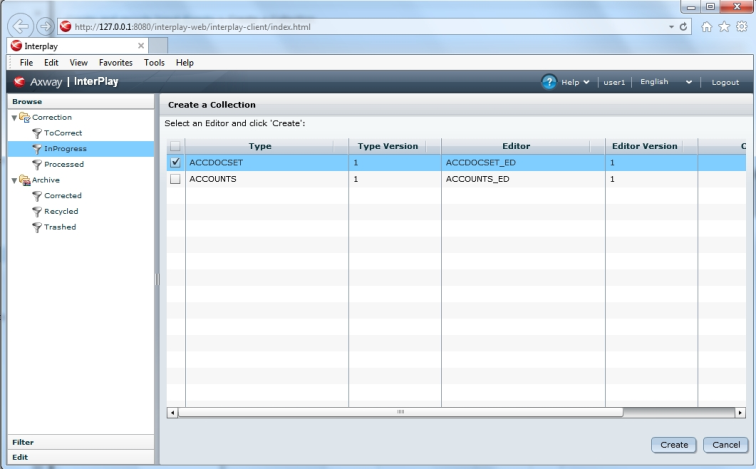 Select an Editor and click Create (or double-click in list). The Collection is created and the Editor opens. Click to save the Collection.